Wheat Bran is the hard outer layer of wheat that is the by product when wheat is processed to make wheat flour. 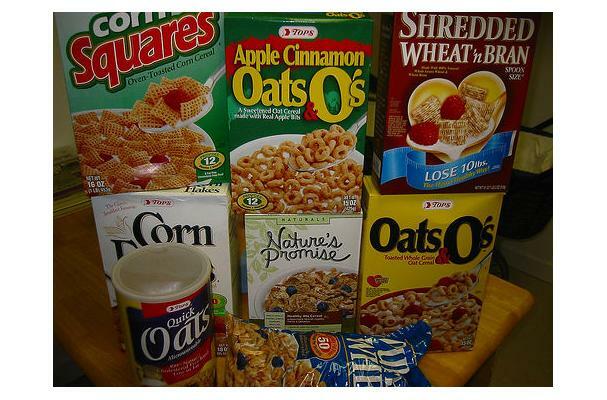 They are used in cereals, muffins of cereal bars. They give a feeling of fullness since wheat bran absorbs water and may expand in the digestive system. Wheat bran must be refrigerated. It has a sweet taste to it, but if it tastes bitter, you should throw it out because it's probably rancid. Most grains, like wheat and oats, have a hard outer layer. When they are processed, this layer becomes a byproduct, and is called bran. In the case of processing wheat to make wheat flour, one gets miller’s or wheat bran. Wheat bran is packed with nutrition, and offers many dietary benefits. Wheat bran also aides in good digestive health. Buying: You can purchase at your local grocery store, order online, or at your wholefoods center. One can purchase wheat bran in bulk, which makes it quite easy to add to cereals like granola or to baked goods. Wheat bran can be used in bread, pasta, bagels, crackers, cakes, and muffins just begin to describe the list of foods made with this grain. Cleaning: No cleaning is required. Wheat bran cannot be stored like regular flour. It tends to get rancid if it taste bitter so its best kept refrigerated. Alternately, it may be stored in a vacuum-sealed canister at a moderate temperature. Wheat is the most important cereal crop in the world and ubiquitous in the food culture of North America and many other regions of the world. History: Wheat is an ancient grain. Thought to have originated in southwestern Asia, it has been consumed as a food for more than 12,000 years.